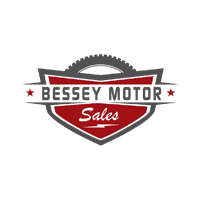 Suddenly in need of a car I knew that i had to check out Bessey's first. My dad had great service since his purchase of a 1969 Super Bee to the Dodge Journey he bought 3 years ago and they did not disappoint!! They made the experience very easy and where a pleasure to work with from the first time I stepped onto the lot. Great service,great sales dept. Love the cars always great value for your money. The Service Team at Bessy is great. The entire team is easy to deal with, professional, and responsive. I will definitely be going back for all my service and truck needs.